Housing First is a viable option to end chronic homelessness. We see if working in places like Salt Lake City, UT and Santa Clara County, CA, Cutting the costs per person in half (homelessness costs cities through the services that get utilized like police, social services, hospital and emergency care, etc) and opening up new avenues for treatment for those who want it. 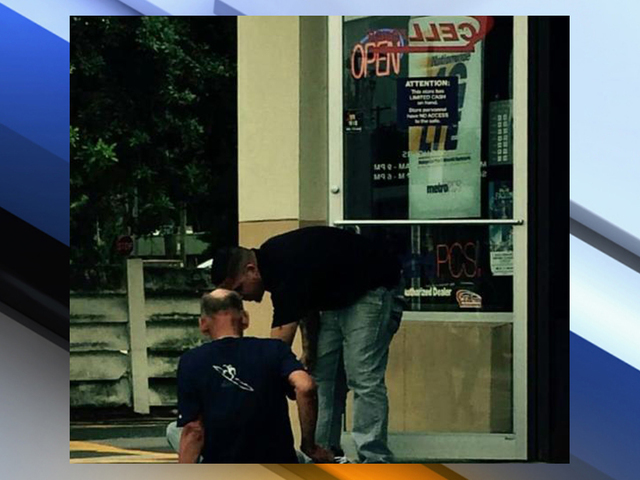 A Tampa man, Oscar Aquino, gave a homeless man the shoes off his feet in a random act of kindness that’s getting wide-spread, and deserved praise online. Oscar 29-years-old, said he walked out of his store on Wednesday to see a homeless man sitting on the sidewalk. That poor man was eating crackers and sipping a soda. Aquino noticed the man’s black and torn up feet, chatted with him for a moment and asked him his shoe size. Aquino then took off his new Jordan athletic shoes and gave them to the man. He turned around and went back to work, like it was nothing. That moment was captured by Carla Rose on her cellphone. She saw the two men speaking and, as she watched what unfolded between the two men, she snapped a picture. Our home and tiny house network is growing! It is so nice to meet so many others interested in the tiny house movement and building community. We have made wonderful progress on our home, and may even be able to move in by mid May up from my earlier estimate of June 1st!!! 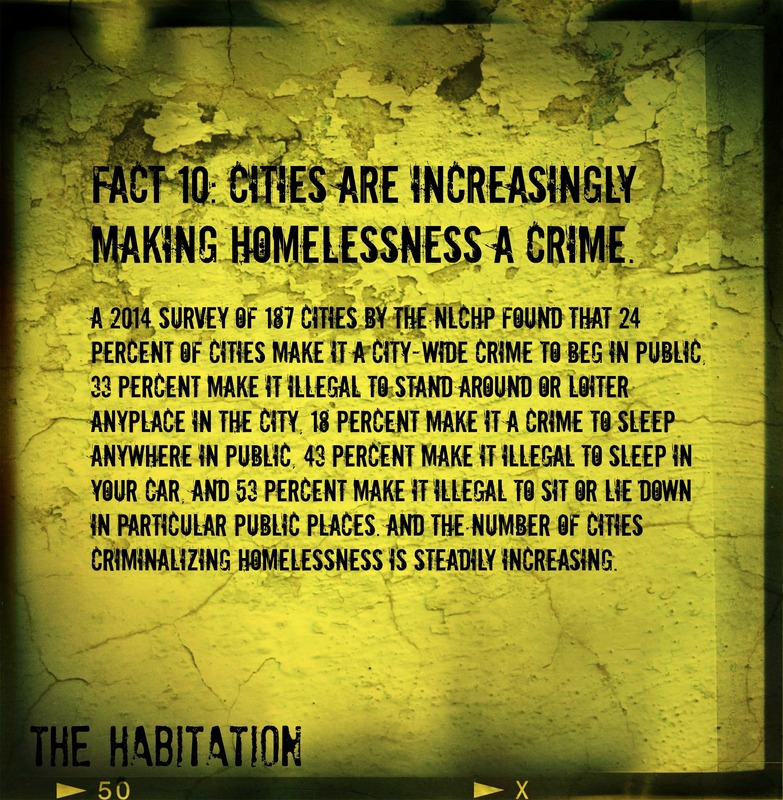 Besides the societal stigma homeless people face, many cities are passing more laws that apply to homeless people and/or charities that help them. Last fall saw the high-profile case in Florida where an elderly man was arrested for feeding homeless individuals in a public space. Should being in need make you a criminal? Fact No. 9 reflects the seriousness of mental health and substance abuse. 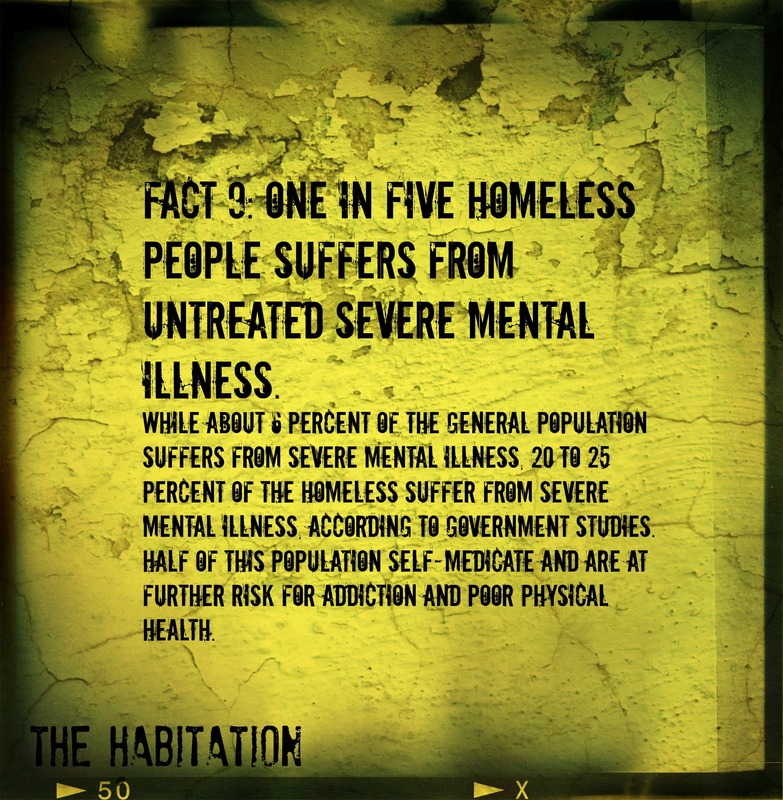 While it is not a fair stereotype, up to 1/4 of those who find themselves homeless suffer from mental illness and about half of those also have substance abuse issues. For some people, substance abuse is a form of self-medication. Some folks became homeless due to addiction or mental illness and some only begin using illicit substances and/or alcohol because of their homeless status. There are many sides to this Pandora’s box. 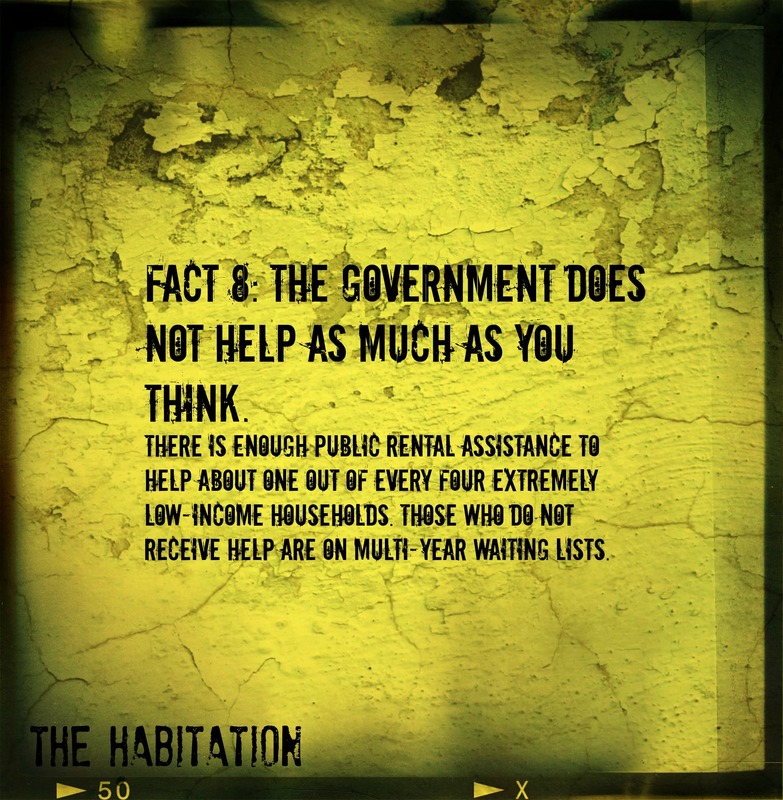 The Greater Seattle Cares program published this report in 2013 on 26 commonly held misconceptions about homelessness. These myths & facts apply across the nation, no matter what location. The state of being homeless is a multifaceted issue for many. A one-size-fits-all approach to eliminating homelessness does not work. We need multiple options available to meet the needs of the unhoused. 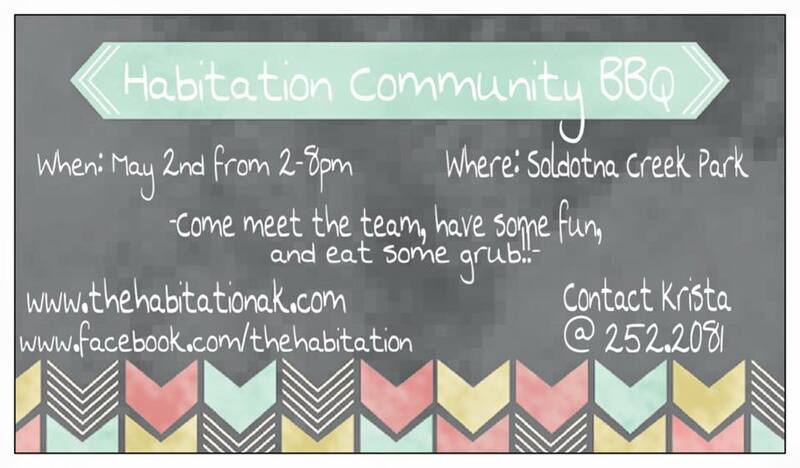 With community involvement we can make a difference! Will you help us in our efforts to bring a Tiny House Village to the Kenai Peninsula? If you would like to find out how you can volunteer, please contact Krista Schooley at 907-252-2081 or e-mail at: thehabitation@gmail.com. Whose job is it to care for the needs of the homeless and poor?